Caesars Palace is rolling out the red carpet for traveling dogs, with the launch of "PetStay," the resort's new dog-friendly hotel program. Caesars Palace features a designated PetStay area within the hotel, equipped with welcome packets that direct guests to outdoor relief areas and dog walking routes as well as specialty room service menus. Additional information about dog-friendly items for purchase and nearby dog services (such as grooming, walking and veterinary care) is available upon check-in at each of the participating resorts. Dogs are the only animals allowed under the PetStay program. Dogs staying at Caesars Palace must weigh 50 pounds or less each and be present at the time of check- in. 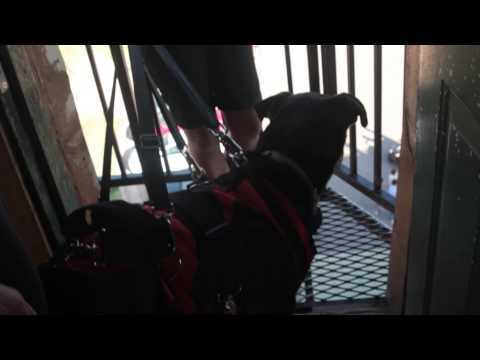 Check in time for PetStay rooms is 4pm. Dog owners must be prepared to accommodate your dogs until your room is ready. Dogs must be in a crate/kennel when left unattended in the room. To assure the comfort of all of our guests, dogs which are excessively loud will need to be removed and boarded off property at the owner's expense. Hotel room rates for owners traveling with a dog are competitively priced at a $50 per night upgrade for designated pet-friendly hotel accommodations in the Augustus Tower at Caesars Palace. 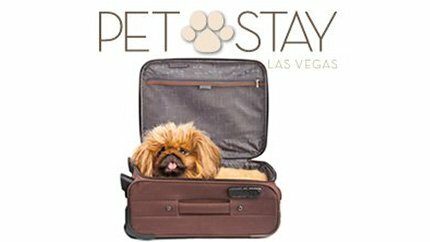 To book a room at Caesars Palace visit www.caesarspalace.com and select the 'PetStay' room type from the listing of available accommodations. Or, dial (800) 427-7247 to reserve today.